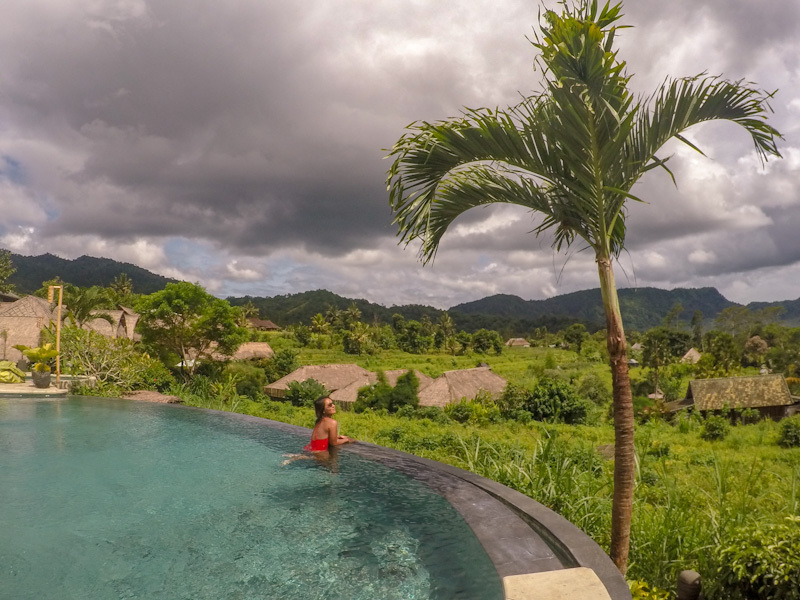 Bali resident of 5 years, Mo of Travellust 101 shares the best things to do in Bali with insider tips and recommendations that will make you want to book a trip to today! I have traveled extensively throughout Southeast Asia, but there is no island quite like Bali. From the fragrant incense of the “canang sari” (the Balinese Hindu offering) that fills the streets to the magical island vibes that permeate from the beaches to the highlands, Bali always held a special place in my heart since I first planted feet on this enchanting land over ten years ago. 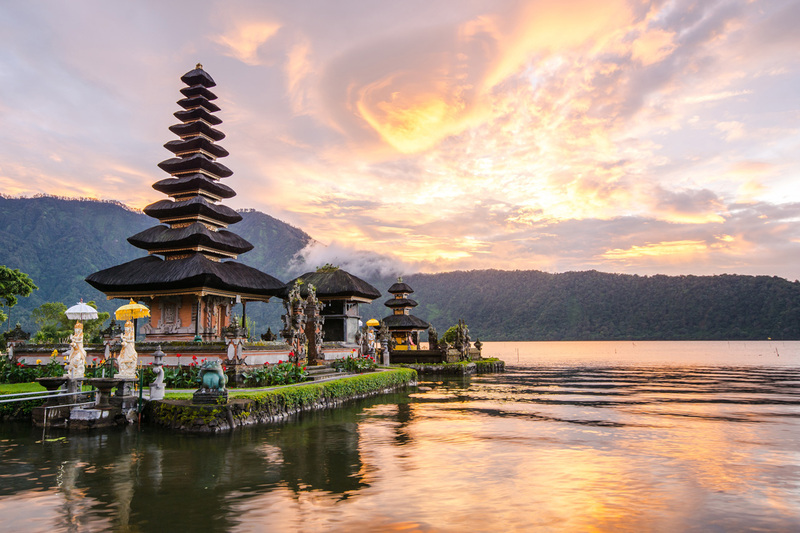 Bali is one of those rare islands that offer endless things to do including surfing, snorkeling, temple hopping, volcano trekking, hiking in the rice fields, shopping, scuba diving, chasing waterfalls, and so much more. Whether you love cultural experiences or outdoor adventures, Bali is your ultimate dream come true. Click on the links below to skip directly to the Bali Points of interest of your choice. I have fallen so in love with Bali in fact, that I made this island my home away from home. Even after living in Bali for nearly five years, there is still so much left of the island to discover. I am excited to share with you the top Bali activities and things you should not miss on your next trip to the Island of the Gods! 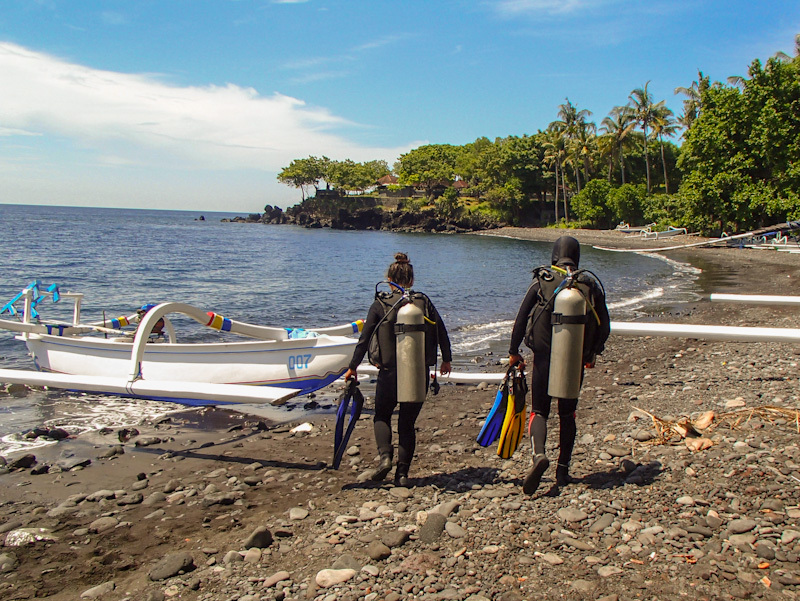 When I first traveled to Bali in 2009, I never had scuba dived before in my life. But since the trip was my first solo travel experience and I was in an adventurous spirit, I decided to give it a try! You cannot imagine the thrill and joy that overcame me when I saw gigantic manta rays fly over my head during my first trial dive! I was blown away and speechless. After that incredible encounter, I became obsessed with scuba diving! At Nusa Penida off of the mainland of Bali, there is a cleaning station called the Manta Point where the Oceanic Manta Rays can be seen nearly year-round. 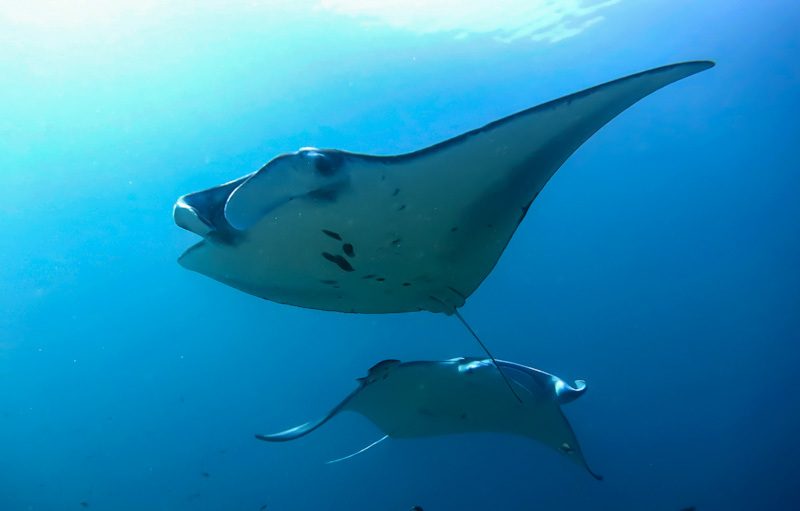 The Oceanic Manta Rays that can grow up to 7 meters in length can be seen nearly year-round off of the mainland of Bali, at a cleaning station called the Manta Point on the coast of Nusa Penida. Nusa Penida from Bali, or head to any of the Nusa islands (Lembongan, Ceningan, Penida) for a snorkeling or diving package. 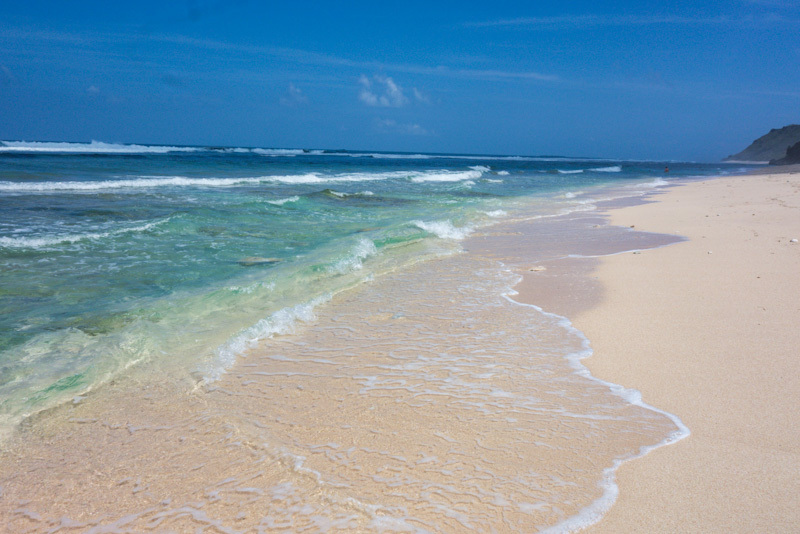 There are countless beaches in Bali from white sand to black sand and everything in between. But my absolute favorite beach in Bali is Nyang Nyang beach in Uluwatu. 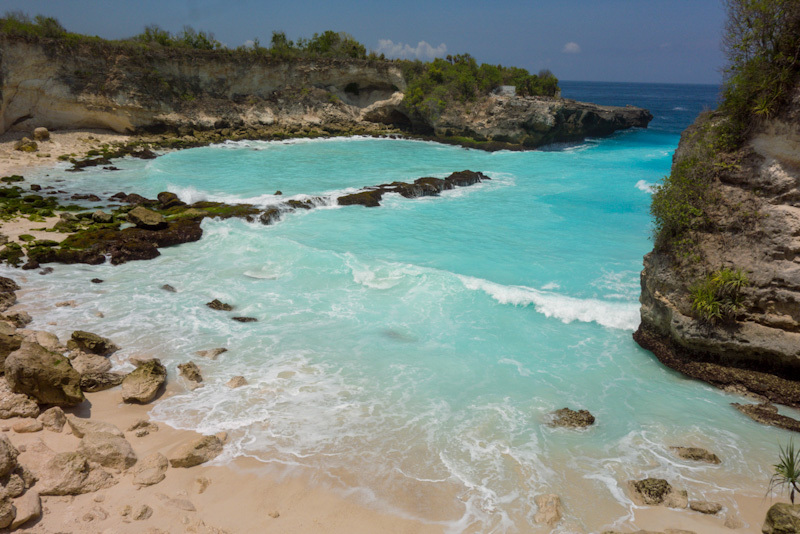 This pristine white sand beach is one of the best places to visit in Bali when looking for some beach time. Despite the powdery white sand, the turquoise blue seas and the stunning landscape, very few tourists make their way to the south tip of the island. It’s like having a private beach to yourself. The long shoreline is also fantastic for taking a peaceful stroll. If you want to escape the mass tourism of nearby Kuta/Legian/Nusa Dua and enjoy a relaxing beach day, head to Nyang Nyang! I went in the midst of a high season and still found the beach void of big crowds. If you have time, check out the sister beach called Nunggalan beach just a few minutes down the road – it’s just as secluded and beautiful, and you can also find an abandoned shipwreck which is famous for Instagrammers! Off of the east coast of Bali is a small island called Nusa Ceningan. After a short 30-minute ferry ride to Lembongan island and a scooter ride across to Ceningan island, you will come upon a mind-blowing horizon of the bluest water you’d ever seen. There are several scenic spots on Ceningan, but Blue Lagoon blows everything else out of the water. The various shades of blue that surrounds this coast of Ceningan range from baby blue to Azure, and you will be mesmerized by the panorama of Blue Lagoon. I had never seen colors so beautiful! Admittedly, the Blue Lagoon has become quite touristy in the last couple of years, but you will not regret waiting for a photo opportunity at this stunning cliffside location. It is unquestionably the most photogenic spot on the island – I spent 2 hours snapping photos from every possible direction. Be sure to take sunscreen though, as the sun in the tropics is brutally hot, and there are no shades around Blue Lagoon. 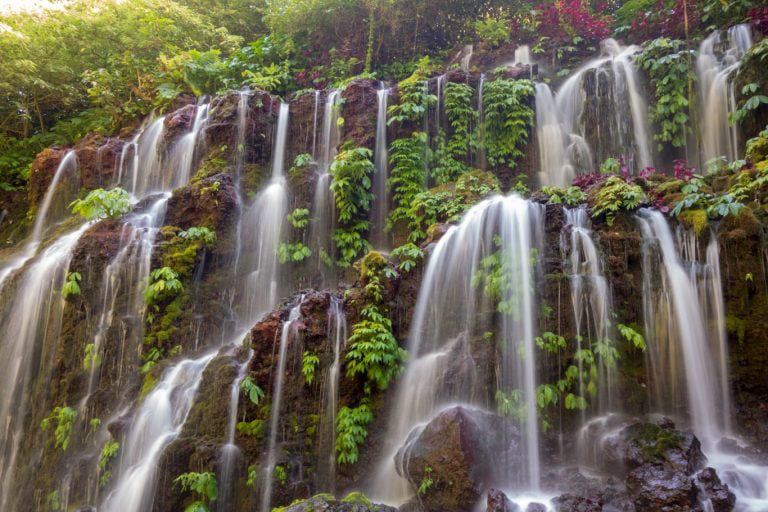 If you ever struggle to decide which of the 20+ waterfalls in Bali you should visit, Tukad Cepung waterfall is one you won’t want to miss. After an easy 15-minute hike down a paved trail and walking through shallow streams and climbing over some boulders, you will run into a breathtaking sight of a sunbeam and waterfall streaming into a cave in unison. As you gaze up from the inside the cave, you will be awe-struck at this incredible nature’s beauty. Tukad Cepung is quickly becoming a popular tourist destination so be sure to get there early to avoid the crowds. I arrived as soon as the ticket booth opened at 08:00 and ran into only one other couple. The USAT Liberty Shipwreck is a sunken US Army cargo ship from WWII that lies just 5 to 30 meters below the ocean surface. What makes this shipwreck a hot spot is that it is located only 30 meters off the shore, making it accessible for snorkelers as well as beginner divers to explore this magnificent historic artifact. You can simply walk in the water from the beach to the shallowest shipwreck on the island! Not only does the USAT Liberty make an interesting dive site with 100 meters of the wreck to explore, but it has also become home to various marine life including turtles, batfish, garden eels, bumphead parrotfish, sweetlips, groupers, and many other species. The shipwreck is one of my favorite dive sites in all of Bali! You can catch some beautiful sunsets all along the west coast of Bali, but there is one special beach called Tegal Wangi that offers shallow pools where you can dip in at low tide. Tegal Wangi is a fairly unknown beach on the west coast, so you can enjoy a private and romantic viewing of the dramatic orange hues in the sky at sunset while soaking in a natural Jacuzzi. The rock formations at Tegal Wangi is uniquely shaped about the size of a Jacuzzi – so when the tide is pulling out, the water collects in the rock “pockets,” forming a natural pool. Soaking in this rock Jacuzzi while the horizon lights up in dramatic orange hues at sunset is a unique experience for sure! Even though Tegal Wangi is fairly unnoticed by the tourists, it does get crowded with locals around sunset time. So arrive early at the golden hour for the best photo opportunities. 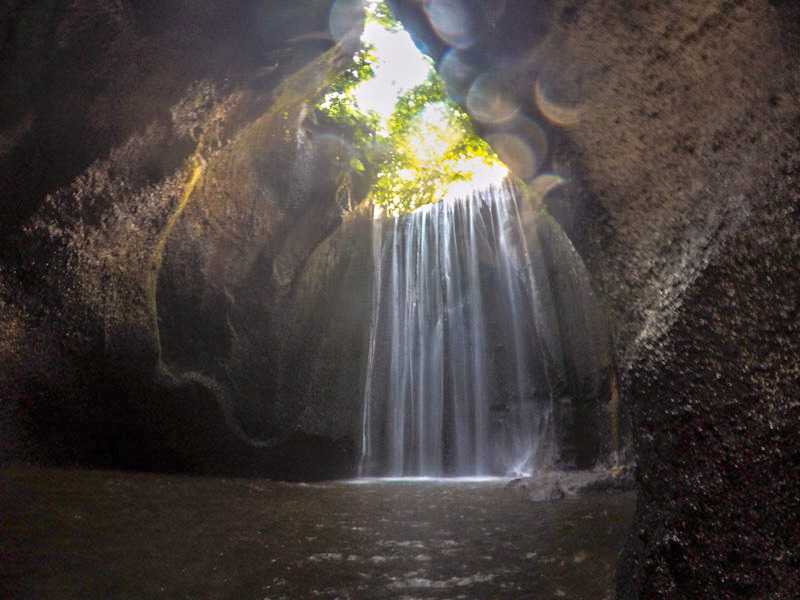 Discover this hidden gem during your next trip to Bali - you won’t regret it! When you think of Bali, you may imagine a vast field of lush green rice terraces and tall palm trees peppered throughout the horizon. 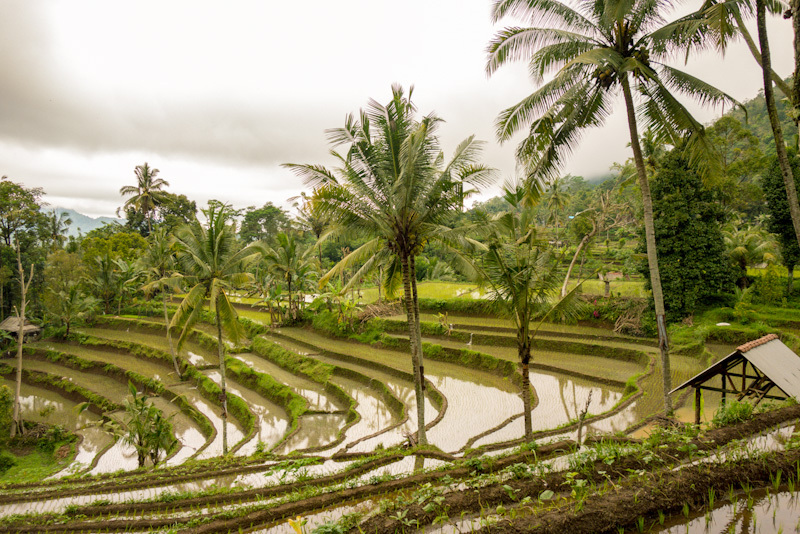 While rice terraces can be found all over Bali from the famous Tegallalang to the remote highlands of Pupuan, what I loved about Jatiluwih Rice Terraces is the access to 3 paved hiking trails through the UNESCO World Heritage Site. The trails make it easy to immerse yourself in the vast horizon of perfectly sculpted rice terraces without disturbing the rice paddies or falling through the cracks! Jatiluwih is an expansive horizon of perfectly sculpted rice terraces that stretch for as long as you can see. The panoramic view of the rice fields is guaranteed to blow you away! The panoramic view of the rice fields at Jatiliwih is truly one of a kind. The shortest trail is about 30 minutes long, the second trail is about an hour long, and the longest trail is about 1.5 hours long. Be sure to slather on some screen before beginning your hike! 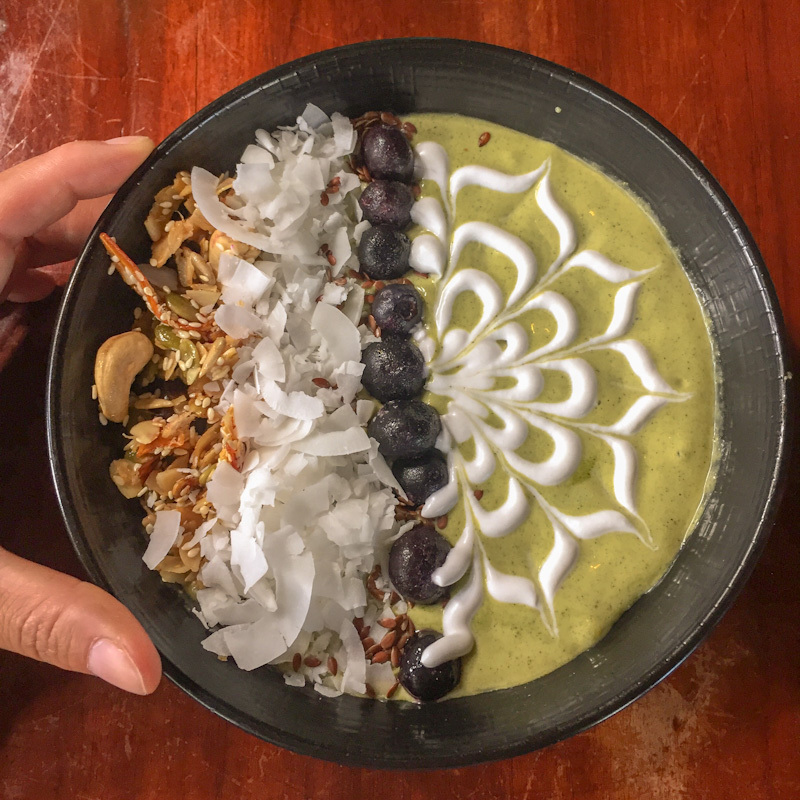 Bali has become a haven for vegans and foodies over the last few years, offering an impressive selection of delicious, hearty, and beautiful smoothie bowls. From east coast to west coast, you can find mouth-watering smoothie bowls packed with superfoods and exotic fruits just about everywhere. In popular areas like Canggu or Ubud, you will find many cafes that serve mouth-watering smoothie bowls packed with superfoods. Alchemy in Ubud for “make your own” smoothie bowl creations. Make sure you get your hands some smoothie bowls during your Bali stay. But be warned that they are addictive! Bali is known for many great adventures, but surfing is one activity that attracts adrenalin junkies from all over the world. 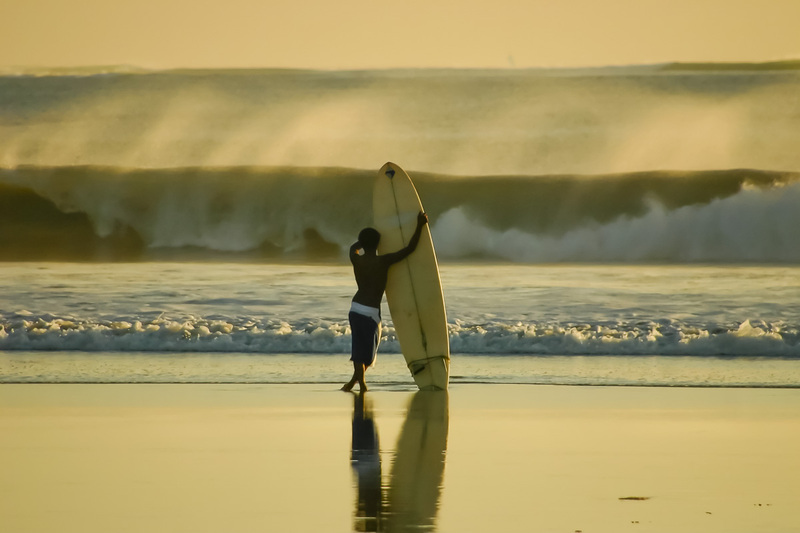 You can find surf on all four coasts of the island, as well as a range of surfing classes and lessons. Advanced surfers usually head to the south coast of Uluwatu in Bukit Peninsula, while milder waves on the west coast (Canggu) and east coast (Sanur) make fantastic spots for beginner surfers. If you have never tried surfing before, hit the waves and give it a go! Although Canggu is a hot spot among all levels of surfers, the water is so crowded that I did not enjoy my surfing lesson there – I was scared that I would either get run over by someone else or bump into someone with my board. If you want to enjoy your surfing lesson, head to Sanur - a “sleepy” beach town where you can practice and enjoy surfing without worrying about getting hurt. 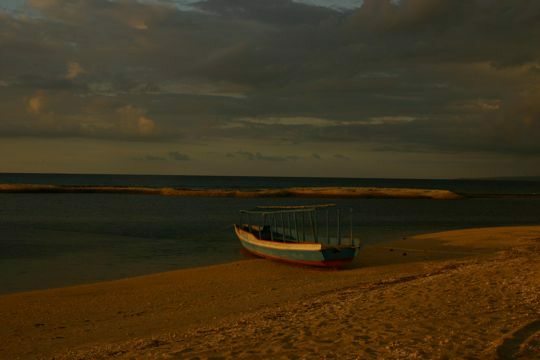 Sanur is also much less crowded than Canggu, with calm waters, golden sand beach and quaint beach vibe. But if you enjoy the “action”, then Canggu may be a better option. Surfing lessons are available on all the island’s coasts so if you have never tried surfing before, hit the waves and give it a go! Most people dream of a white sand beach when they imagine paradise. But did you know that Bali offers some natural, volcanic black sand beaches along the north and east coasts? One of my favorite black sand beaches in Bali is an off-the-beaten-path location called Pantai Masceti which is surrounded by small, quiet local villages. 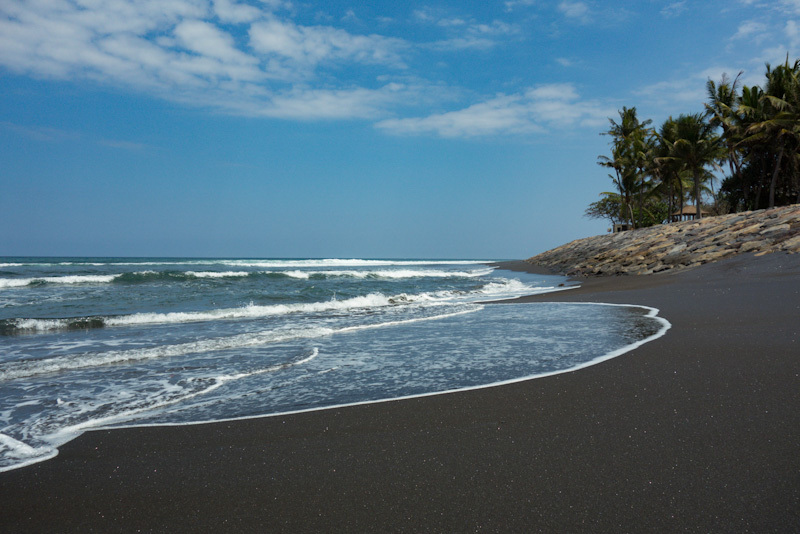 The black sand at Masceti is shimmery and powdery which is very rare, as most of the black beaches in Bali mainly consist of rocks and pebbles. Also, you will rarely run into another tourist here – the area is distant from Bali’s tourist track, making it a perfect hideaway if you want to escape the masses. When I visited Sidemen for the first time last year, I couldn’t believe that a stunning rural countryside with magnificent views of rice fields and valleys has managed to remain off the tourist radar. Located just an hour from the tourism mecca of Ubud, being in Sidemen will make you feel like you transported back in time to a quaint, charming village life of traditional Bali. Sidemen valley is a rural countryside that offers jaw-dropping views of rice fields and farmlands. 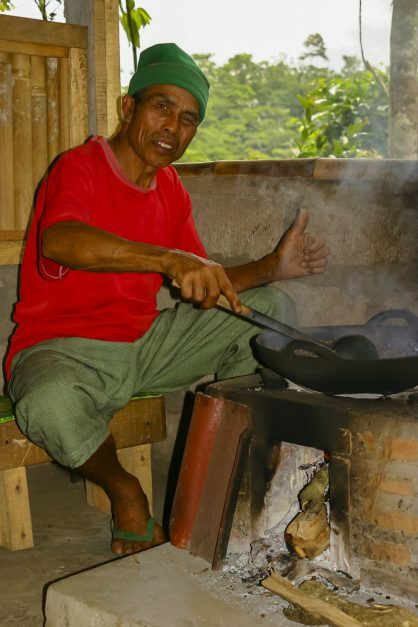 Even though several resorts and homestays have popped up in Sidemen, the tranquility of the region is a far cry the hustling and bustling towns of south Bali. If you want to experience an authentic Bali, head to Sidemen and sign up for either a cycling tour or a trekking tour to access the best views! 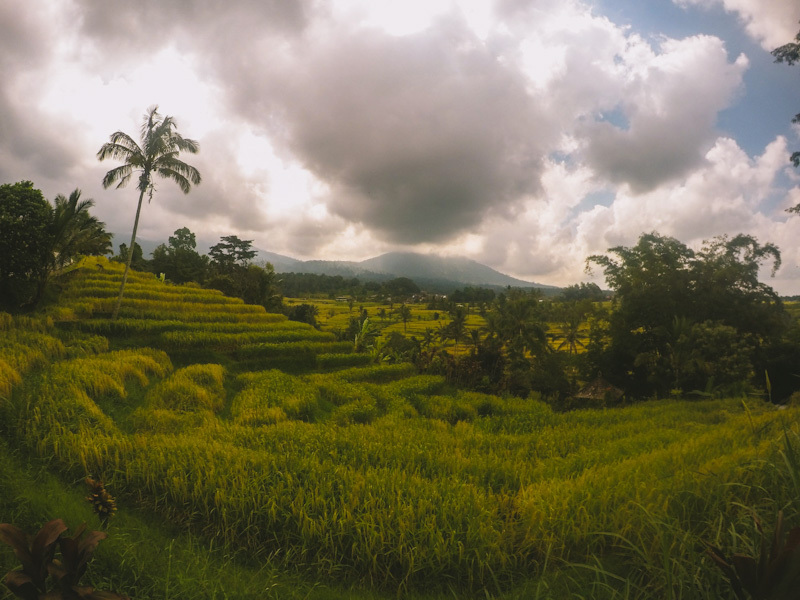 My 3-hour cycling tour through the villages and rice paddies, and ending with a picnic overlooking the valley was one of the most memorable trips I did in Bali. Bali has become an immensely populated tourist destination in recent years, and it is becoming increasingly hard to avoid tourist traps. But if you want a glimpse of what Bali may have looked like before commercialization and to experience the authentic Bali, you must head to Sidemen. 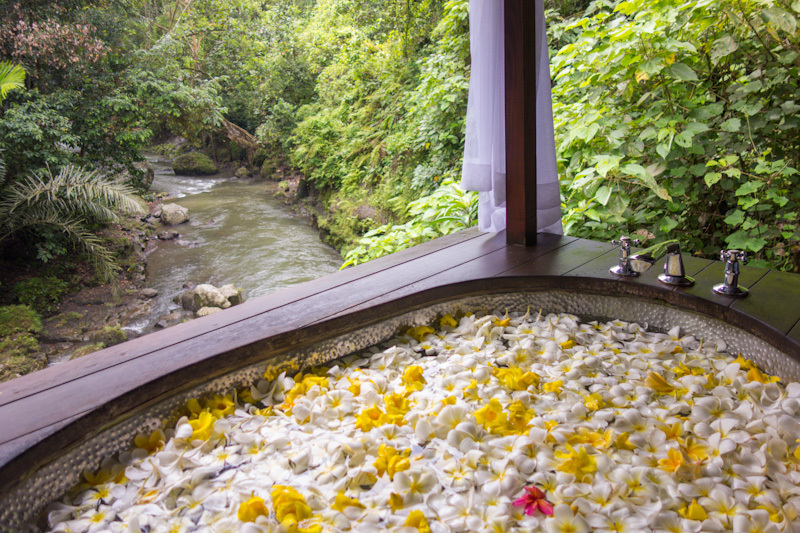 No trip to Bali is complete until you experience a flower bath! I didn’t get the hype of flower baths until I finally indulged in one myself. The combination of the floral scented water, the luxurious ambiance, and silky smooth skin will have you walking on cloud nine for days to come. Many spas around Bali offer a flower bath, but my all-time-favorite experience was one at Maya Ubud, where you can soak in a bathtub surrounded in nature. The spa “bungalows” are built in the jungle over a river, so all your senses interact with the nature around you, from the sounds of the birds chirping, the river flowing down below, to the crisp breeze flowing through the foliage. It is absolute heaven! If you are looking for fun things to do in Bali for couples, this is a must. 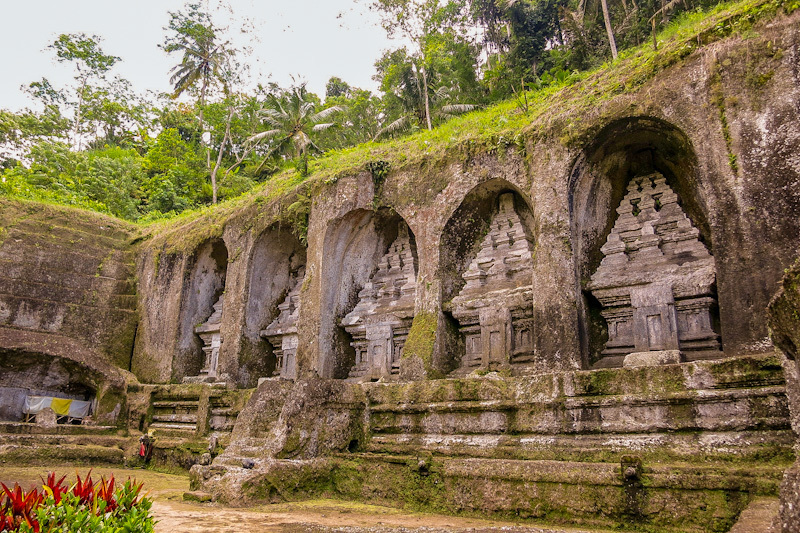 With thousands of temples in Bali, it may be difficult to choose which temples to put on your itinerary. Even though these temples can be crowded with visitors, they are also often used by the Balinese to host local ceremonies, which is an unforgettable experience if you are lucky to witness one! When I visited the Gunung Kawi, hundreds of local villagers were gathered to honor the temples located on the grounds, and it was a beautiful sensory experience involving incense, instruments, chanting, and colorful costumes. The one thing that makes Banyu Wana Amertha waterfall stand out from all the rest is that you can enjoy four spectacular waterfalls in one location! One waterfall at Banyu Wana Amertha named Bhunanasari took my breath away – water cascaded down in various streams over a cliff wall enveloped in lush greenery. I couldn’t believe more visitors hadn’t discovered this hidden gem. Banyu Wana Amertha is located near other noteworthy attractions such as Jatiluwih Rice Terrace and Ulun Danu Baratan Temple, so you can design a day trip combining some of Bali’s highlights and exploring nature’s wonders. Admission fee for the waterfall is IDR 20,000 (USD 1.40) per person. Bali is one of many places in SE Asia where you can live like a King/Queen even when traveling on a budget. And what better way to feel like a royal then to relax in an infinity pool, basking in a stunning scenery while sipping on a fresh coconut or a cocktail? Whether you enjoy a cliffside view, an ocean view or a jungle view, Bali is famous for infinity pools with a dramatic, breathtaking backdrop. Once, I found a charming villa in north Ubud with an infinity pool with a view to-die-for for only USD 20 including breakfast! 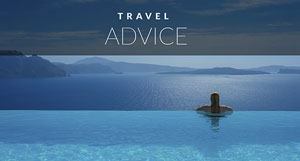 These tips by Mo are fantastic ideas to get you off the tourist path. It's been a while since we were last in Bali, but we loved it there and would like to add a few of our suggestions of what to see in Bali. 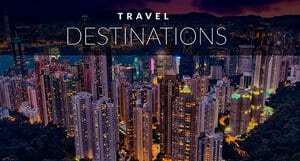 Many return visitors may already know of these Bali attractions, but if you are visiting for the first time, these ideas will help you plan your vacation and add some of the top sites onto your itinerary as well. They may be popular, but they are popular for a reason. When we first traveled to South East Asia, we were so excited to see monkeys hanging out at resorts and in the jungle. 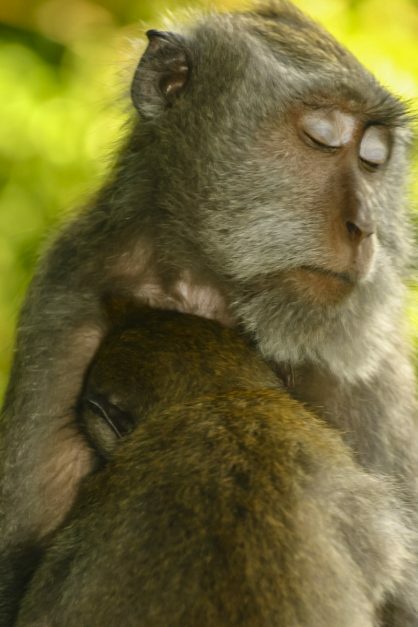 If you want to get up close and personal with them, a visit to Ubud's Monkey Forest is a great option. It's one of the most popular places to visit in Bali, so be warned, it is busy and the monkeys are used to humans. The monkey forest is sacred to the island's residents and it plays an important role in conservation. About 700 hundred monkeys live here and it is located just 1 1/2 km from Ubud. Insider Tip: Keep an eye on your sunglasses, don't wear loose jewelry or hats, the monkeys are very brave and will grab anything that is not attached. 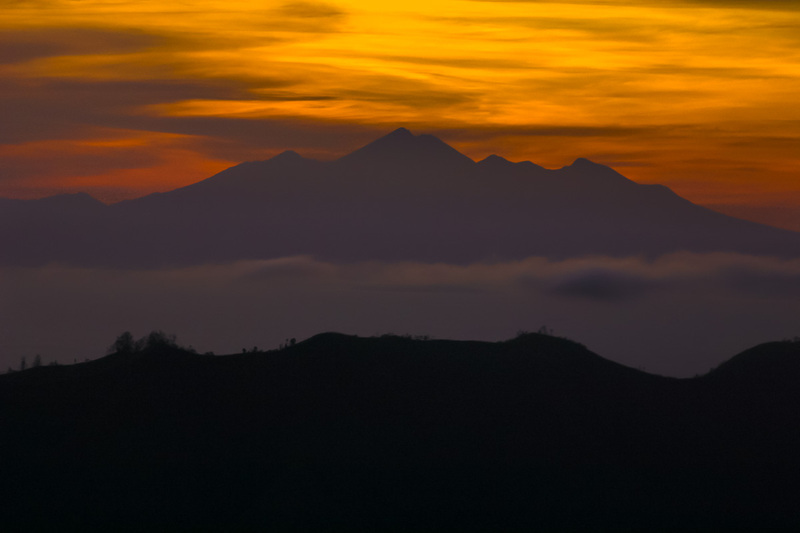 Mount Batur or Gunung Bature (Indonesian for Mountain) as we know it is a must do in Bali for adventure lovers. I will admit I was nervous about climbing an active volcano and didn't sleep a wink while waiting for our 2 am wake up call. We were picked up from our guest house in Ubud by SUV and ate our breakfast during the 1-hour drive to the starting point. Once we began to climb, my fears disappeared as I navigated my way up the loose black rock concentrating on catching my breath. It was harder than I expected. We were on the trail by about 4 am and the two-hour climb was fast and steep but worth every effort once we reached the top to enjoy an incredible Batur Sunrise looking over neighboring Gunung Rinjani on the island of Lombok. We even ate boiled eggs cooked fresh by the steam of the active mountain. It truly is an amazing adventure. You can read all about it fully at Climbing Mount Batur. It is easy to book a tour from Ubud, but if you want to book in advance, Get Your Guide offers tours to Mount Batur that you can book with easy cancellation up to 24 hours in advance for a full refund. We have never tasted better coffee anywhere than in Bali. Seriously, we love Turkish coffee and Ethiopian coffee ground freshly by hand on the side of the road is to die for, but there was something about Bali coffee that made me a coffee drinker. Before traveling to Bali, I didn't touch the stuff! We loved it so much, we bought several packages and sent them home. There are many a tour you can take in Bali that will include a visit to a plantation and I say go for it. We found it fascinating to see how coffee is planted, harvested and finally roasted to create that distinct taste. There is a reason that Indonesia is at the top for the best coffee int the world, remember, Bali is not too far from Java! Kuta is busy and crowded, but you can't visit Bali without at least spending a day or two there. It was on Kuta that we first learned to surf, it's a great place for shopping and if you are looking for things to do in Bali at night, this is the place to hang out. The beach resorts of Tuban, Legian and Seminyak are all within walking distance of Kuta, so if you are staying at one of the more luxurious hotels in Bali, you can easily pop over to Kuta for some partying. It is still popular with surfers and many of Bali's best surfers still train there particularly at a spot located the end of Jalan Padma. One of our favourite things to do in Kuta was sitting and watching the pro surfers do their thing at high tide. Visit the Bali Memorial paying tribute to those who lost their lives in the 2002 Bali Bombing. One of the more interesting things to see in Bali is a cremation ceremony. They don't happen all the time, and you will have lucky timing to see one, but we happened to be there when a very important person from the Ubud community was having his cremation ceremony. In Bali, death is a celebration and tourists are allowed to join in. Like all religious ceremonies, make sure to be respectful of their traditions and culture. It is a privilege to witness this long-standing custom that celebrates the life of the deceased. Usually a cremation ceremony celebrates many lives as families usually save money over time to pay for the ceremony and then have a mass cremation together. You can read about our entire experience here. When we were traveling Bali, we decided to get far away from the crowds for a bit to the neighboring islands of Lombok. We had heard that the Gili Islands are a must, so we popped over to Gili Air. The smallest of the Gilis. 11 days later we were still hanging out on this lazy island that does not allow motorized vehicles. We slept in hammocks, snorkeled the drift in front of the beach and ate seafood until our heart's content. Horse carts were the mode of transport or some good old fashioned foot power. We first booked a ferry from Bali to Lombok and then caught the island hopper boats to the Gili Islands. There are three Gili Islands, Gili Air, Gili Trawangan, and Gili Meno. If you want to party, Trawangan is the place to choose. Bali is a dream destination that should be put on any South East Asia itinerary. So start planning your trip to Bail today! Bali is an island paradise located in Indonesian Archipelago. It is only one of a thousand islands in Indonesia, but it is definitely the most famous. 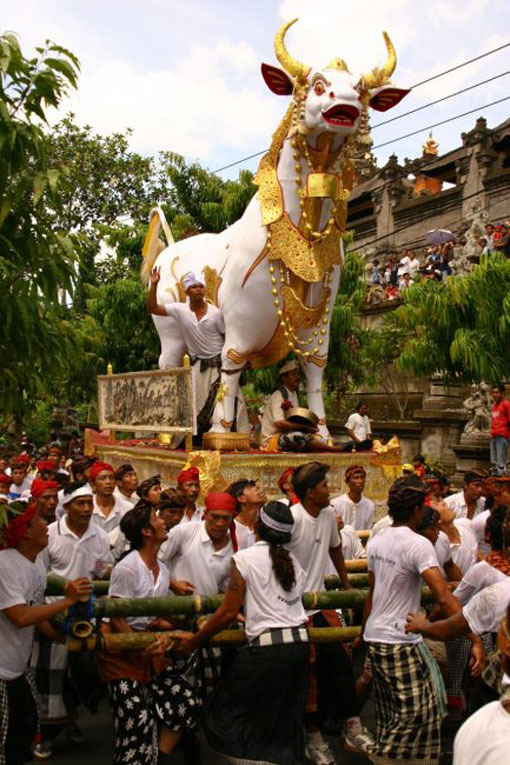 The main religion of Bali is Hinduism. Bali is a tropical country so there is really no bad time to visit. There is basically a dry season and a rainy season. High season is July and August. A good time to visit is on shoulder season when prices are lower, and it is still dry. April - June and Sept/Oct. We visited Bali in January and it was fine. Rain during the rainy season is usually short and followed by sunny skies. It can be difficult deciding where to stay in Bali, so we've broken down the popular hotel areas of Bali. Ubud - Interior of Bali close to rice terraces. Laid back vibe, central and easy to get to most Bali attractions. 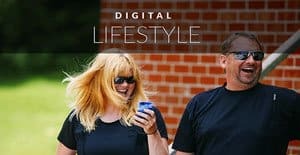 Canggu - Has become a popular spot for digital nomads to hang out. Located about 45 minutes North of Kuta Between Tana Lot. Uluwatu - after walking through a monkey forest, you will come across the impressive Uluwatu. A temple perched on a high cliff. Another good spot for sunset. Tegallalang Rice Terraces - These are the most famous rice terraces in Bali, located just outside of Ubud. Mo is a Bali-based scuba instructor whose current passions include coconut ice cream, rescuing street dogs and sharing her travel tips, guides, and resources on her website, Travelust 101. 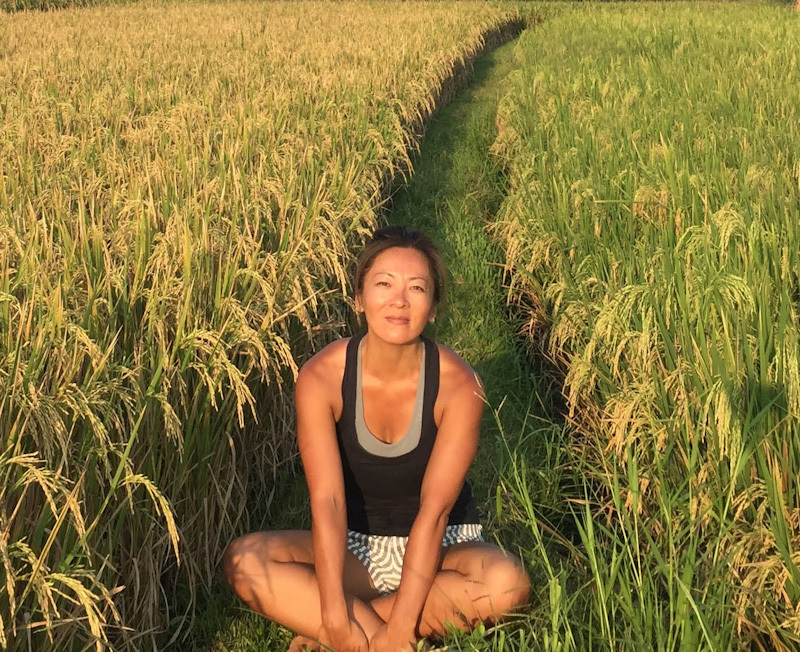 Find Mo’s comprehensive 2-Week Bali Itinerary here, and her paradise adventures on Instagram and Facebook. 5 Responses to "Top Things to do in Bali – Insider Tips for Your Next Visit"
This made me want to go to Indonesia immediately. 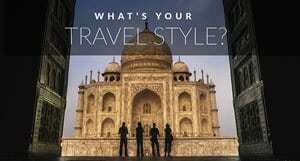 I’m trying to go in October and I will read your Indonesia article to decide where to go! Very helpful, thanks for sharing such a useful information. Don’t forget to do a bit of cardio during travel to other countries because you know you’ll be eating good and there’s also a lapse in time-zones. That has an effect on your body, especially your metabolism and sleep patterns. So many people I know visit and talk about Bali! Now I can see why there’s just so much to do and the variation is unbelievable. One thing I want to know is, was your scuba diving license expensive?